Hello and welcome to TYF’s newest podcast series, Finding Her Voice. Joined by editor in chief Gabrielle Bondi and film and television writer AJ Caulfield, we’ve come together to highlight, celebrate and discuss films directed by women. From the very best and most significant in the cinematic canon to personal, under-seen favorites, our hope is to touch upon as many films and talents as we can that may be undervalued and/or hopefully provide listeners to more options to add to their “watch list” for the 52 Films by Women Challenge. A monthly podcast, the three of us will pick one or two films that we (ideally) haven’t seen before, watch the films and then come together to discuss at length our general feelings of the films, how the female perspective possibly added to the overall atmosphere and our thoughts on the current (not so great) status and representation of women in film. To listen to old episodes, go here and make sure to check us out on ShoutEngine and find us and rate/review us on iTunes! We also can be found on Twitter @FindingHerVoice. It’s January which means we’re all still recovering from the dumpster fire that was 2016. To try and kick off 2017 right (well, as right as it can currently be), we aimed our sights at being more productive in highlighting female voices on our Twitter account @FindingHerVoice. 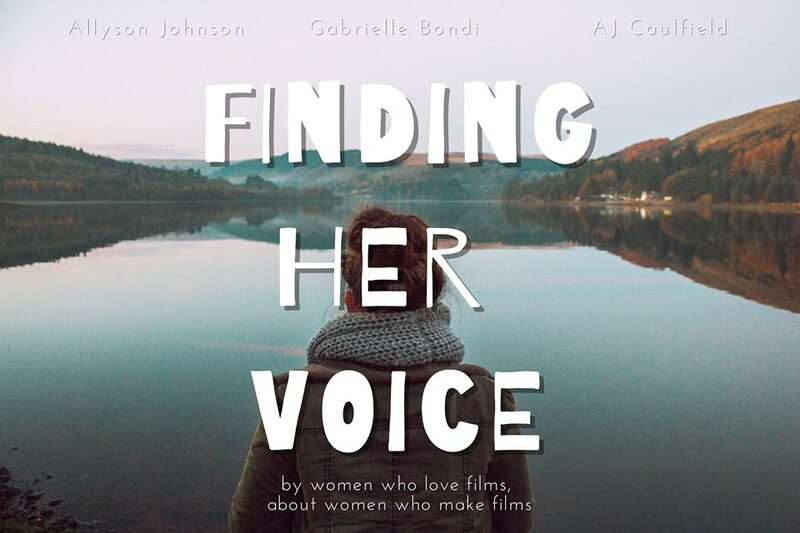 Gabrielle, AJ and I also set personal goals to seek out the women directed content and spotlight it personally. To keep in trend, we watched Mia Hansen-Løve’s 2016 quietly stunning Things to Come and 2003’s Under the Tuscan Sun directed by Audrey Wells. We spoke about the romantic nature of both without either succumbing to typical “romance” archetypes, the differences between how both actresses have been allowed/not allowed to age onscreen, and why Things to Come is the Isabella Huppert performance to see from 2016, as opposed to Elle. For February, we’ll be taking a bite out of the Valentines Day atmosphere with Gina Prince-Bythewood’s Beyond the Lights and Gillian Robespierre’s Obvious Child, which did the wonderful thing of introducing a wider audience to the talents and charms of Jenny Slate. Much love and happy listening. Find us on iTunes and give us a follow at Twitter. Make sure to watch along with us so you can join in the live chat. She is a 23 year old in Boston MA. She is hugely passionate about film, television and writing. Along with theyoungfolks, she also is a contributor over at TheMarySue.com . You can contact her on Twitter (@AllysonAJ) or via email: allyson@theyoungfolks.com.